The Post Master will issue a cheque for any vendor payment, customer payment or to withdraw money from a bank or maybe to other payments which are related to post office transactions. Any corrections on the cheque leaf. In such cases, the Post Master will issue a new cheque leaf to the particular transaction. So, we should delete the spoiled cheque number in the system also and issue a new cheque number. How to remove the spoiled cheque leaf in CSI? 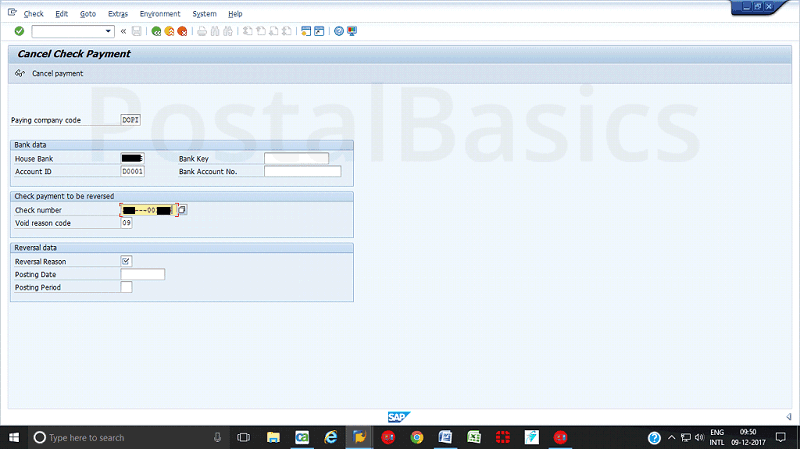 Go to SAP, type the T-code FCH8. The following screen will appear. Void reason Select proper reason. As shown in the below image you will see some reasons for spoiled cheques. Select the appropriate reason. 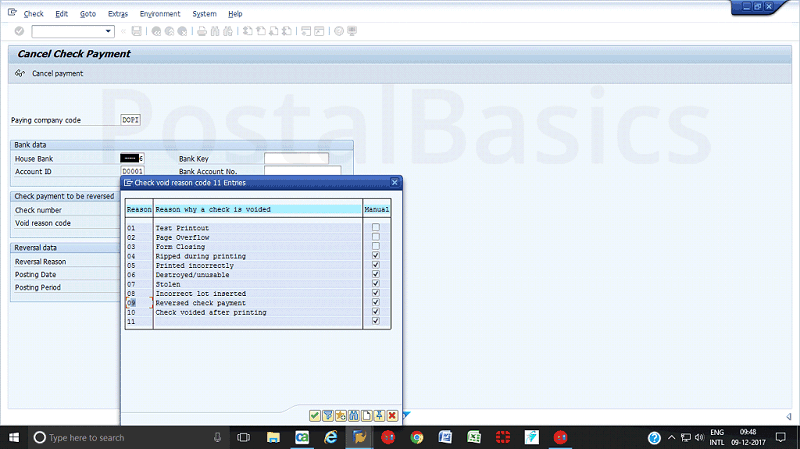 PostalBasics is not responsible if the method is used for any fraudulent transactions.